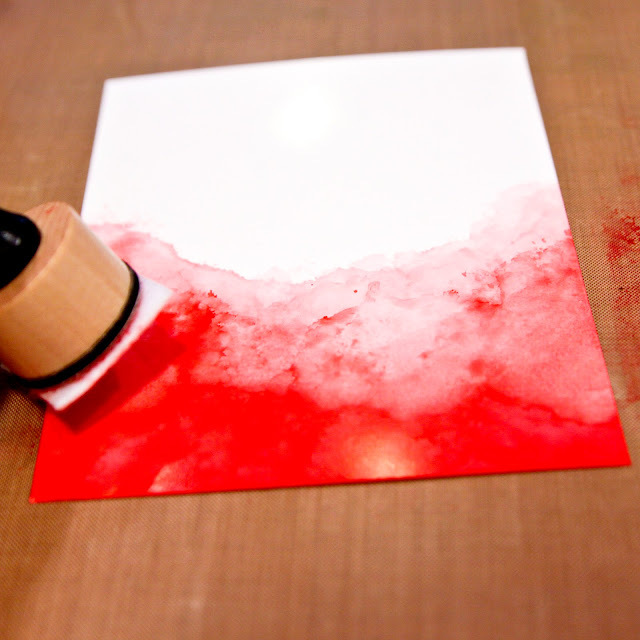 -i started with a 4-1/4 x 5-1/2 piece of glossy cardstock and working on my non-stick craft sheet, i applied a messy stripe of poppyfield alcohol ink (it looks a little orange in my studio pics but it is really a pretty pink red). 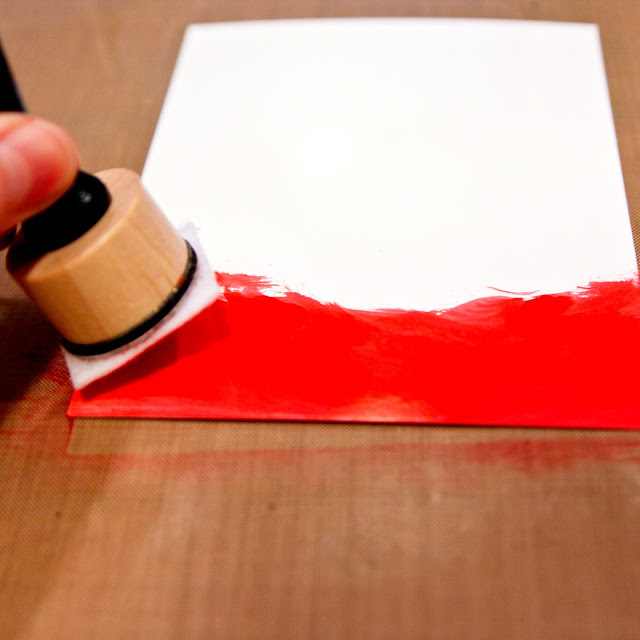 -next i applied a few drops of blending solution directly to my paper. 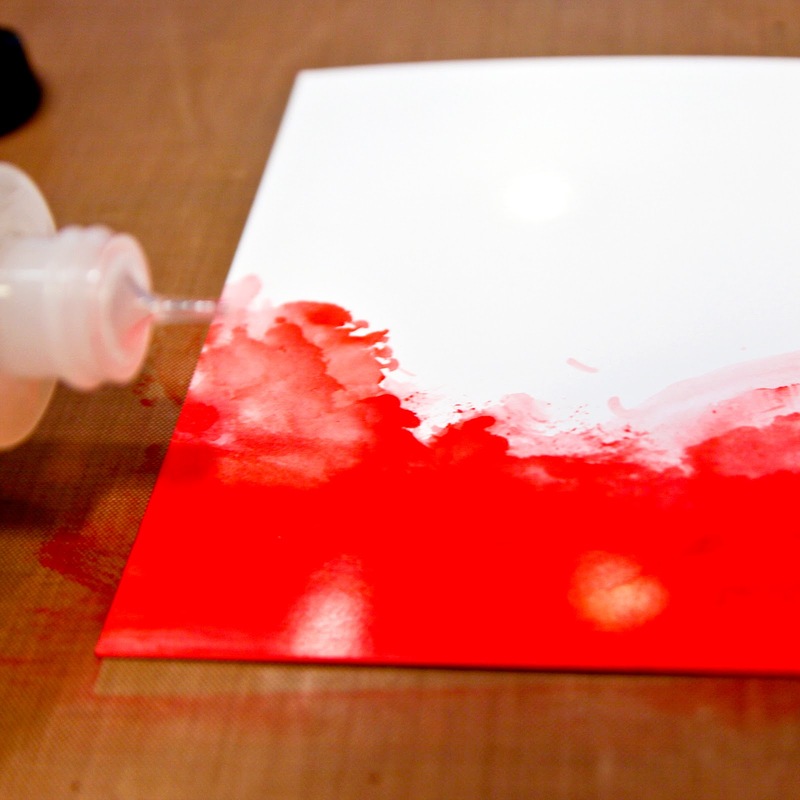 -i let the blending solution "bloom" and spread for a few seconds. then i used an ink blending tool with alcohol ink applicator felt to blend and move the solution around until i was happy with the texture and color. i used the mini ink blending tool because the smaller size made it easier to control. -to complete my card, i trimmed my ombre background to 3-3/4 x 5 and added some gold splatter along the bottom with a delicata ink pad. -using the essentials by ellen poinsettia & pine set, i die cut mistletoe from glossy paper and gold foil. 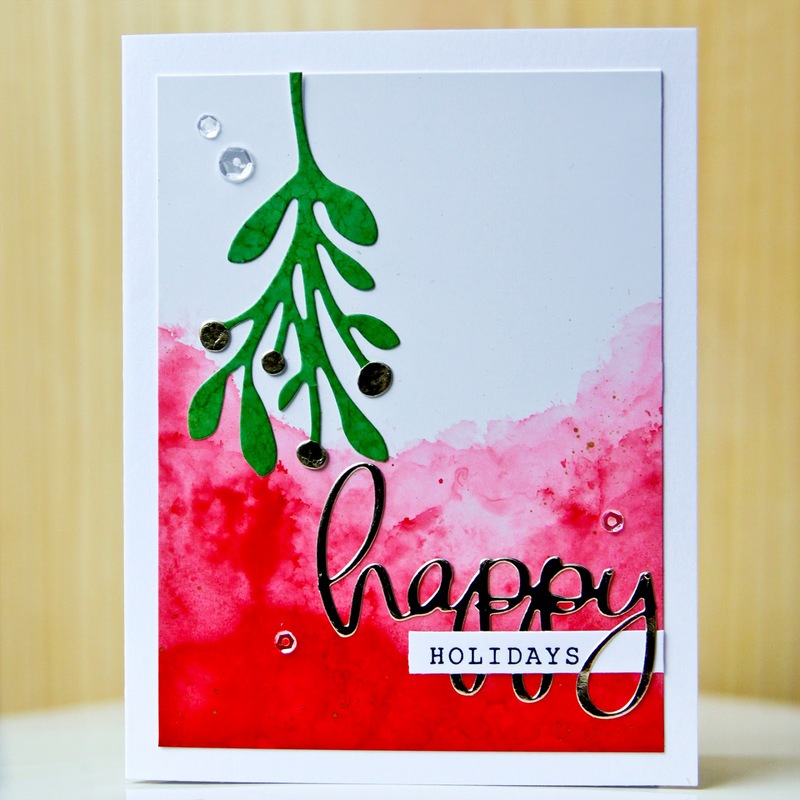 to the glossy paper mistletoe, i applied some meadow alcohol ink. i cut the berries from the gold foil mistletoe and adhered them on top of the glossy meadow mistletoe. -i die cut the happy script from gold foil and stamped "holidays" in black. 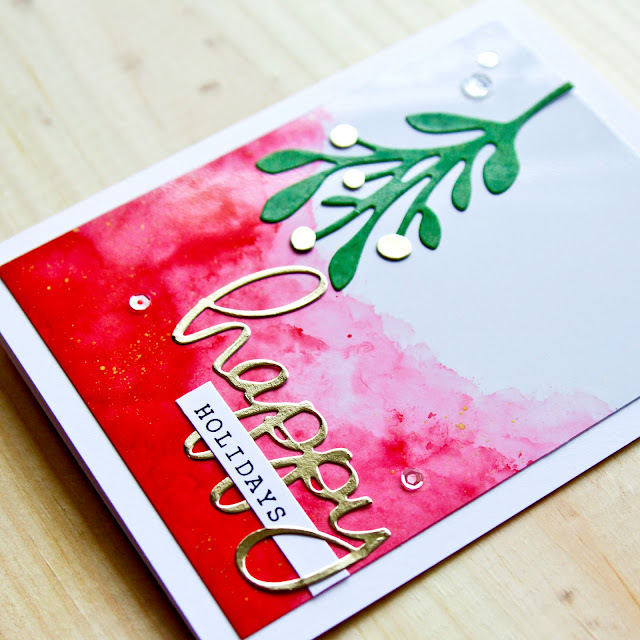 -i added my mistletoe, happy, holidays and some sequins all on to my ombre background. and finally adhered the panel to a solar white card. oooohhh...love the technique...your card is wonderful!